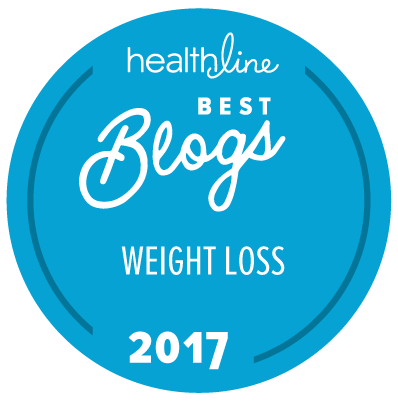 So the thoughts behind the weightless scale is that sometimes the number on the scale can tend to act to demotivate when it doesn't necessarily say the number we want. What's good is it has two formats. You can have it as a normal scale so that it will say 140 lbs or you can set it up weightless so it will just show a loss from the first time you stepped on it and set up the user. The great part of this is the scale can set up 8 users. Which is fantastic if you are living in a dorm and everyone is doing a weight loss challenge, or you have a very large family. Since it's just me, one user is enough, but it is nice that it accommodates data for many users. You can toggle between modes, by just hitting the SEL button which is cool because sometimes those of us that are heavy would like to forget what the actual "weight" number is on the scale. 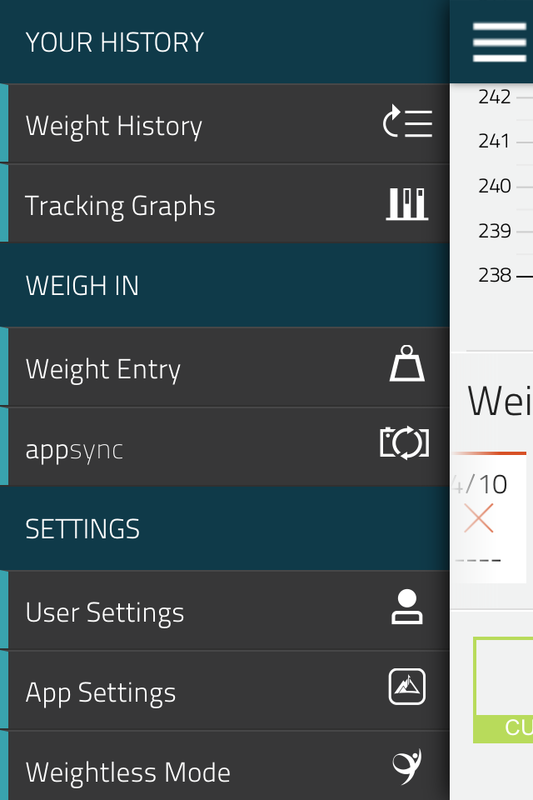 If you want to switch from weigh-less to traditional mode or back permanently you would have to go through your user set up again, but this feature to toggle in between is great, not having to go through the set up every time just to switch over quickly to see the actual weight is a great feature. My thoughts would be once you reach your goal weight to then reset your user at your new goal weight so that way if you are in weightless mode, you can make sure you are within a range of your goal to avoid gaining a lot back. If you weigh over 400 lbs unfortunately this isn't the scale for you. It maxes at 400 lbs. The scale uses 4 AAA batteries as do most scales. 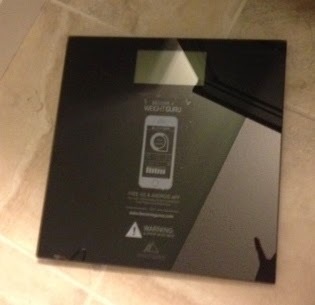 The scale itself is very sleek looking and modern. Black but very slim, I was actually surprised at how lightweight it was compared to other scales that I have used. So here is another kind of cool gadget feature. The scale has an Android/IOS app that is free that syncs with the scale so you can set goals, track your progress and keep track of your results. When you download the app, you have to setup an account. This is where you would choose your experience. Since I need to lose weight I chose lose. But after you reach goal you can switch it to just track. Then you set your target weight. What's neat is it syncs with your scale. So after you weigh weekly, daily or whatever time you choose. Your scale will put up a bar code, which you then use your camera on your phone to put the bar-code image into and it will sync your latest weigh in to your app. It's pretty neat. Especially if you like gadgets for your smart phone. Which this girl happens too love. Another section of the app, lets you see graphs of your progress as well as the history of your weight loss. It's pretty neat from what I've been fooling around with, also as you lose weight it also tracks body fat, muscle mass and water. The companies website also has a food scale to purchase as well. The price is around $50.00 which is about average for a higher end scale as opposed to just a basic model with out all the bells and whistles. The kitchen scale is as sleek as the bathroom one and had I not just purchased one from Pampered Chef, I might be inclined to buy their kitchen scale as well. 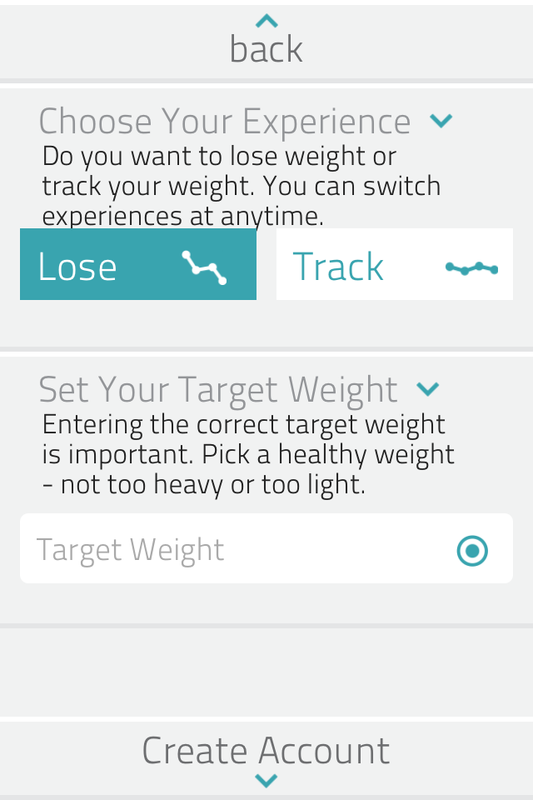 I like the idea of being able to see charts about the weight loss with the app. If the app synced with MyFitnesspal like some other scales out there it would be of even more value as I could track my food and just sync up my scale to the myfitnesspal website to include everything else. So that would be one of my suggestions to the weight gurus on how they can further market their scale. All in all this is a great scale that doesn't take up a lot of space and is very light weight with some very cool features. 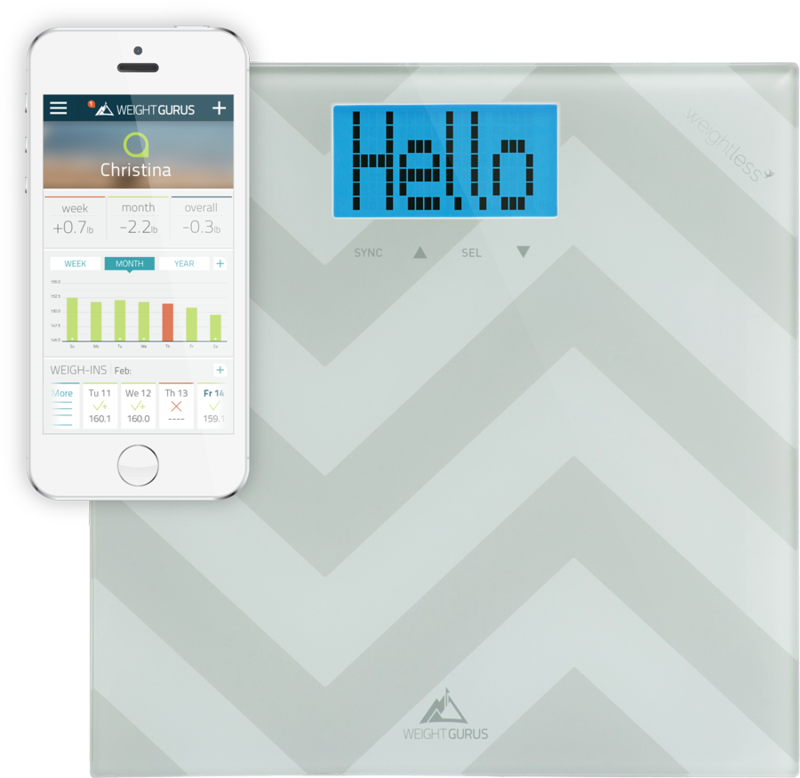 If anyone would like to win the scale the great folks over at WeightGuru are giving us the opportunity to give one away. If anyone else would like to purchase at a discount, you can follow this link for Amazon and the coupon code GURUS020 and the coupon code will be available until the end of April. 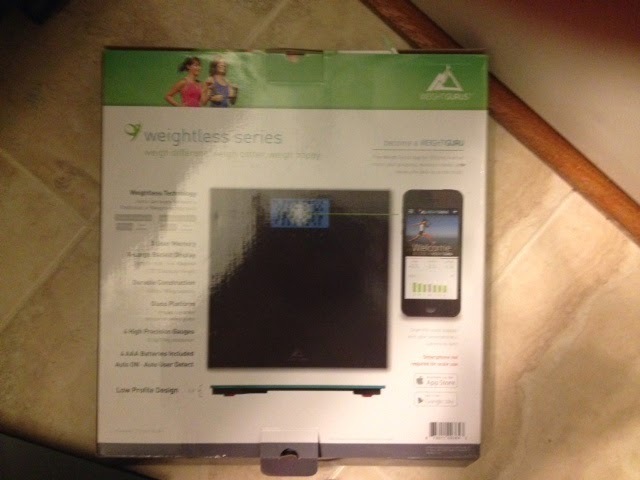 So who wants to win a scale??? leave a comment on how this scale would make your life easier and we will pick a lucky winner by the end of the week by random fancy selector machines. I like how the app would allow you to track with graphs so you can see trends etc. It also has the body fat, muscle mass, water which I assume could be tracked as well. I am tempted! I don't like to weigh myself as it tends to trigger binge eating no matter if it is good news or bad. The attractive thing is it would remind me that I have lost a significant amount of weight and kept it off. I find certain family members and I often over-look that fact and it is always "What have you done lately". Having the scale say I have lost 20 Lbs then 30 Lbs then 20 Lbs all sound like successes to me not a 10 Lb failure. I love gadgets so that might be a factor as well. I love the app! I weigh myself nearly daily, but almost never write it down. I'd love to be able to see trend charts. Plus, I'm pretty sure my current scale is just messing with me. (Truth: the batteries probably need replacing. But it's much more fun to pretend it's possessed and tinkering with my psyche telling me I gained 5 pounds one day and lost 10 two days later.) Thanks for the chance! I like the opportunity for different users. I share with the boys in the house, and I'm tired of resetting the scale! I like the option to track body fat for this scale. Apparently I should have used a thesaurus because NEAT was used way too much. Do I really want an app on my phone telling me I'm overweight! Techies will love it. I like that I would not be faced with my current weight each time I step on the scale unless I choose that mode. I much prefer to see how much I have lost! More motivating for me. Wow - this sounds pretty cool. I'd set myself up as two users...one for the pounds number and one for the pounds lost number. My current scale is so old - it's abacus-like! I would love this - no more guessing if the gym scale is accurately calibrated! I really need an accurate scale, so I know if I actually have changed weight or if the scale is just off. I am very visual and love seeing my progress but my old fashioned scale doesn't help motivate me to gain more muscle, which is my goal. I was too skinny and at least gained some weight but I want to track my muscle mass and this would be great without too much fuss. I think a scale like that would help me see past the plateaus to the progress, and the important things like body fat and muscle! Since 13 months ago, I've lost 74 lb (thanks WW! ), but it's getting harder. I'd love to win the scale! This scale sounds like it would almost be fun. Sometimes, when I haven't weighed in a while, I'm afraid to find out my weight, Then it would be great to just know that things were going in the right direction. I love the fact that it can sync up with a smart phone too!!!! I just started my weight loss journey (for the 2nd time) last month. I have a basic scale, but I would love to try this one. I have lost 11 lbs in 4 weeks, and I'm committed to keeping it up. My problem is that I focus hard on the number. I need to lose about 100 lbs to be at goal. I think the option of just seeing pounds lost would be a huge motivator for me to push harder. I also love that it syncs up to a phone. I track my food with my phone and this would be a great addition since I also love gadgets! How much do I love that it will just show the up and down and not a number? So much!